Children and adults alike have trouble understanding the Trinity, but this Bible object lesson for Sunday school, using salt, flour and water as the ingredients should make it clear. 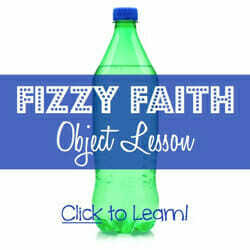 Be sure to check out our video presentation of the “Fizzy Faith” object lesson. ½ cup of salt, ½ cup of water, 1 cup of flour (you can double or triple this recipe. It will make play dough, and you’ll want enough that your students can each make something with it.) Bowl, mixer. Practice this recipe once at home if you’re not familiar with it. Figure out how you’ll need to multiply the recipe to give a portion of play dough to each of your students. 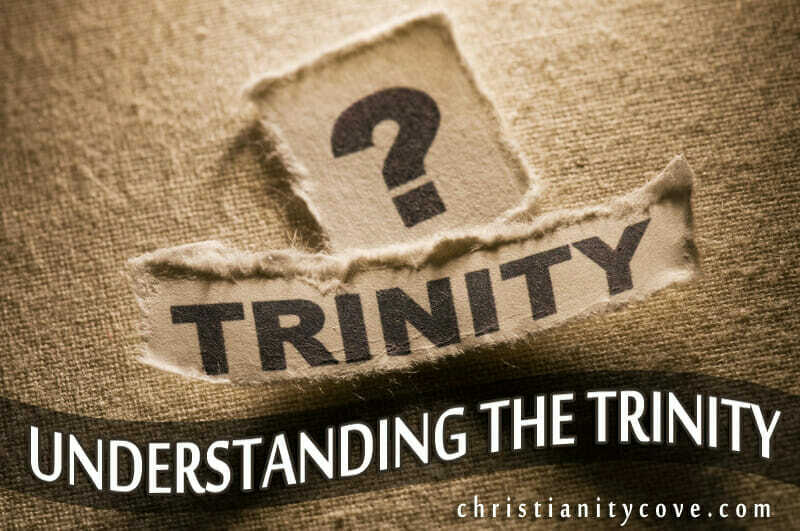 How many of you know what The Trinity is? Get a show of hands and some answers. The Trinity is a very important concept in our Christian faith. Trinity starts with “tri,” which means “three.” There are three members of the Trinity. Who are they? Father, Son and Holy Spirit, (if it hasn’t been said already). However, a lot of people are confused by this. Christians believe in only one God. And yet, there are three beings: God the Father, God the Son, and God the Holy Spirit. How does this work? Take some answers if any student wants to take a try at it. Three-yet-one sounds contradictory. We don’t really know how the Trinity works, and that’s okay. There are obviously things in the universe so complex that man can’t understand them. People who think they can understand everything are in danger of missing something big! Today we’re using this cup of common flour and this common table salt to understand the Trinity. Hold up the cup of flour. Let’s pretend this is God the Father. White is a symbol of purity, and we know that God is purest of the pure. Turn the flour over into your bowl. Hold up the half cup of salt. Let’s pretend this salt is Jesus. Jesus told us, “You are the salt of the earth” in Matthew 5:13, meaning we Christians “flavor” the earth by sharing God’s word. And Jesus would certainly know about that; he was the original salt. Turn the salt over into your bowl. Mix all ingredients with your mixer. We’re mixing all three ingredients together. Is the salt still in here? Yes. Is the flour still in here? Yes. Is the water still in here? Yes. All three are still here. Stop mixing. Yet now we have one substance. Can anyone guess what it is? Hold up some dough and squish it around in your hand. It’s one thing now – it’s homemade play dough. And yet, all three ingredients are still there. That’s one of the ways we can understand the Trinity – three in one. Definitely three; definitely one. Let’s make something! Make enough play dough for all kids; they can make a cross or a triple cross to symbolize the Trinity. 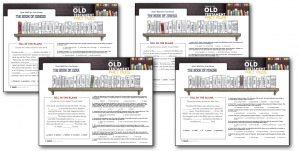 Did you enjoy this Bible object lesson? Let me know by leaving a comment below! 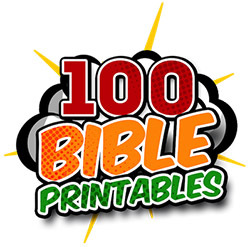 And don’t forget to Become a Fan on Facebook, Follow Us on Twitter and Come Hangout with Us on Google+, where I always share fantastic Bible object lesson ideas! 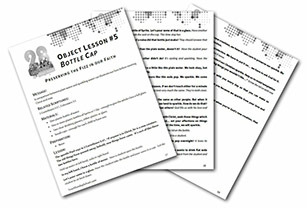 You can get our complete set of object lessons here! Thank you so much for this fun way of teaching about the Trinity. I am using this at our main Service for adults in the United Kingdom. Our congregation love visual! This lession was great, the kids really enjoyed knowing about God and how we can not seperate the Trinity. This is an ancient heresy known as “partialism”. This same concept comes about as an egg (3 parts – 1 egg), or a clover (3 leaves, one clover, first perpetuated by St. Patrick if I’m not mistaken). The Trinity is a concept outside the realm of human understanding, and is best represented with the Scutum Fidei, and then explaining the many common heresies, partialism, modalism, and arianism. Why did Jesus pray? To whom did he pray? Why did he say ” God forgive them for they….,explain John 17:3 Genesis 1:26, , why does the world insist that these words don’t mean what they say? How can the world find it easy to believe that we are created in some other image, and not like the body or features of our Lord? We need to learn what the true nature and personalities of the Godhead or Trinity really are before we can discuss whether The Father, The Son and the Holy Spirit are one or three separate beings. Let’s turn our attention for a moment to the nature of God. In Genesis 1:26 we read: “And God said, Let us make man in our image, after our likeness . . . ” Now, the same author, Moses, 5 chapters later using the same rhetoric states (Genesis 5:3): “And Adam lived an hundred and thirty years, and beget [a son] in his own likeness, after his image; and called his name Seth.” This explains how God the Father and His son Jehovah can in fact be in the same likeness, just as you and me. The words “Image” and “Likeness” mean the same thing regarding the relationship from Adam to Seth as it does with God to Adam. It would be inconsistent to say that the scriptures mean one thing when speaking of the Lord creating in his likeness, but a very different thing when speaking of Adam begetting in his likeness. It has been commonly accepted in a lot of religions that God is “a most pure spirit, invisible, without body, parts, or passions,” and this applies to the Father, the Son and the Holy Ghost as one spirit. There are three scriptures that the world depends upon to support this. Two of them from John and the third from Paul. 1. 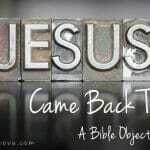 No man hath seen God at any time; the only begotten Son, which is in the bosom of the Father, he hath declared him. –John 1:18. 2. No man hath seen God at any time. If we love one another, God dwelleth in us, and his love is perfected in us. –1 John 4:12. 3. Now unto the King eternal, immortal, invisible, the only wise God, be honour and glory for ever and ever. Amen. –1 Timothy 1:17. One thing’s for certain, truth does not contradict truth. We must accept passages of scripture with this in mind. There are so many other scriptures that clearly say that men have seen God and talked with him face to face. “Enoch walked with God.” “The Lord appeared to Abraham in the plains of Mamre.” As I stated above, there are contradictions in the Bible so something must have happened to the translation of John. He himself saw God, and talked with him face to face – Moses did and many other prophets. If you don’t accept Joseph Smith as a prophet, you will have a hard time with this next statement. The two scriptures of John stated above were corrected by the Lord in a revelation to Joseph Smith. And no man has seen God at any time, except he hath borne record of the Son; for except it is through him no man can be saved.–John 1:18. No man hath seen God at any time, except them who believe. –1 John 4:12. With this translation, there is complete consistency. 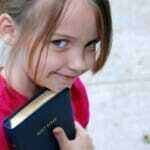 They agree with other scripture and get rid of all contradictions. So, “God created man in his own image, in the image of God created he him; male and female created he them.” (Genesis 1:27) It’s plainly written and often repeated in the Bible. Why does the world insist that these words don’t mean what they say? How can the world find it easy to believe that we are created in some other image, and not like the body or features of our Lord? They began to embrace him. They saw the nail impressions in his hands. When he left and returned to his Father, he took that same pierced body with him. Then, two heavenly messengers stood by and said, “Ye men of Galilee, why stand ye gazing up into heaven? this same Jesus which is taken up from you into heaven, shall so come in like manner as ye have seen him go into heaven.” He lives. He is not without body, parts, or passions. How can anyone who believes that Jesus Christ has now, since his crucifixion, become an essence, an invisible Spirit, without body, without parts, without passions? What was the purpose of his resurrection? Was it only to make it possible for us to be raised from the dead? Has Jesus Christ been absorbed into the great incomprehensible body of God, which is everywhere, yet nowhere? Did he lose his body and individuality? If so, how did Jesus get rid of his body after his resurrection? Did he just “shed” his body? To my knowledge there is nowhere in the scriptures where it says this. Let’s now turn to the issue of “all in one” or “separate” distinct individuals. Some people construed that Christ and his Father are one person from John 14:10: “And that I am in the Father, and the Father in me, and the Father and I are one.” It is understandable that this verse can confuse someone when left isolated to interpret. Jesus and his Father are not one person, but merely that they are one in knowledge, in truth, in wisdom, in understanding, and in purpose; just as Jesus himself counseled his disciples to be one with him, and to be in him, that he might be in them. (John 17:21) Christ was constantly addressing his Father in prayer. He taught his disciples to pray to the Father, not to him. The seventeenth chapter of John is evidence of this and is so touching. Everyone, (Christ included) was born as the sons of God in the spirit; one person (Christ only) was born as the Son of God in this mortal world. He is the “Only Begotten” in the flesh. God was his Father; Mary was his mother. His Father was an immortal man; his mother was a mortal woman. He is the Son of God in the same literal, full, and complete sense in which he is the son of Mary. There is nothing symbolic or figurative about it. He is God’s Almighty Son and as such is distinguished from the Father in the same way any son is a separate person from his father. The scriptures state that there are not “three Eternals” but” one Eternal.” It further confuses the reader that the Father, the Son and the Holy Ghost, must be one God then. Yes they are, in purpose as stated above, but the scriptures are definitely clear that the three members of the Godhead are separate and distinct from each other; each with a definite mission to perform. For instance, the Savior told his apostles that when he went away he would send them the Comforter, who is the Holy Ghost. I use an analogy about “One Godhead” that sometimes makes it a little clearer to understand this “Allison” theory. Suppose for a moment that you and I had the opportunity to gain all knowledge of the universe. We would know all things about everything if you can even imagine such an astonishing thing. There would be no doubt in our minds what events would take place under any circumstance that would present itself. We would know how the planets would rotate, how they would interact with each other’s gravitational pull, how the environments on the respective planets would act, etc. All of these things we would know in harmony because both you and I have all knowledge of such things. We would be of one mind! So you see, we do in fact believe in the Trinity, but it is the clarification of the separate and distinct individuals within the Trinity that separates us from others. Thank you for the great object lesson, makes it real for the kids and the trinity is hard for us adults, so even more so for them. Thanks again! Thank you soooo much for this lesson. You’re very welcome! 😀 Thanks for stopping by! Great object lesson. I will share it with the adults in my congregation. Awesome. I was going to use foam that looks like candy corn, but I like this lesson better. Thanks, great way to explain the Trinity. Is this Uncle Laron’s wife?